You will never have a relationship with another person that is free of conflict. Even the best relationships will experience moments of disagreement. James 4:1–12 is packed with profound relational insights. He says to us, “If you want to understand the source of the conflicts that you have with people, you can’t look outside of yourself; you have to look inside of yourself first.” At some point in the conflict you have to pause, even if it’s only for a moment, and ask: “What am I wanting that I am not getting?” I have to look inside of me first. Until I begin to do that, I will always lose in conflict even if I win the argument. 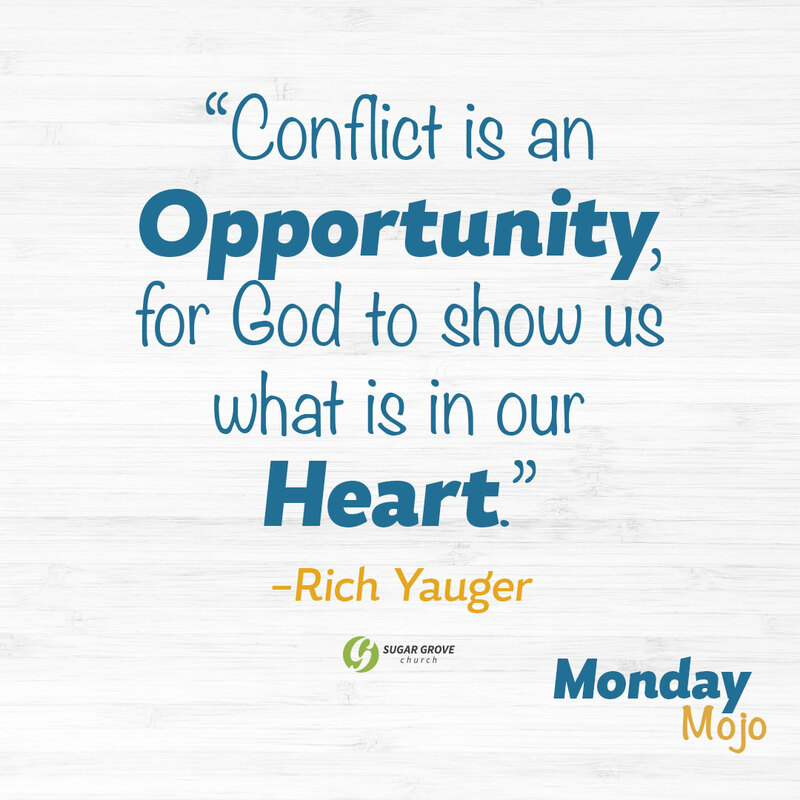 On Sunday, we discussed the idea that our unmet desires are at the root of our conflicts. Those unmet desires often reveal the hidden motives that rule our heart. Healing can begin to take place when we confess and repent. Confession is taking personal responsibility for our words and our behavior without excuse and without shifting blame. Repentance is a change in our heart that leads to a change in the direction of our life. Our anger is an expression of something that’s going on inside of us–not so much an expression of what is going on outside of us. And this is so humbling. What James is saying is that the people and situations in my life are not the cause of my anger. The people and situations in my life are rather the occasion for the anger that’s inside of me to show itself. Is there someone you need to forgive? Is there someone you with whom you need to be reconciled? Ask God for the grace you need to do these things.